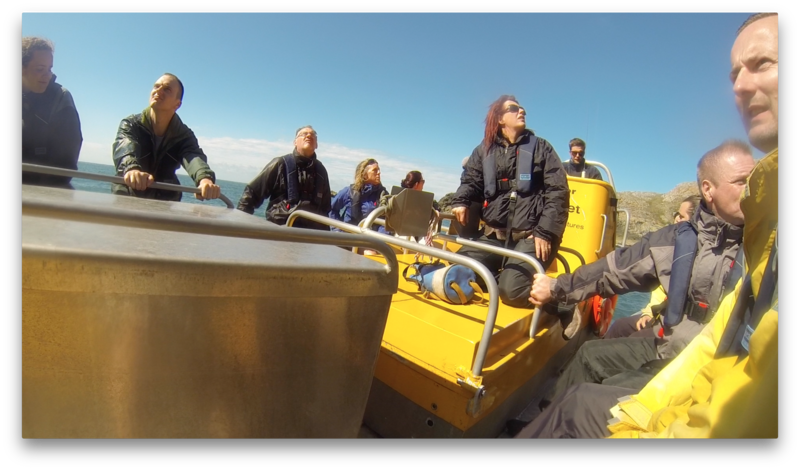 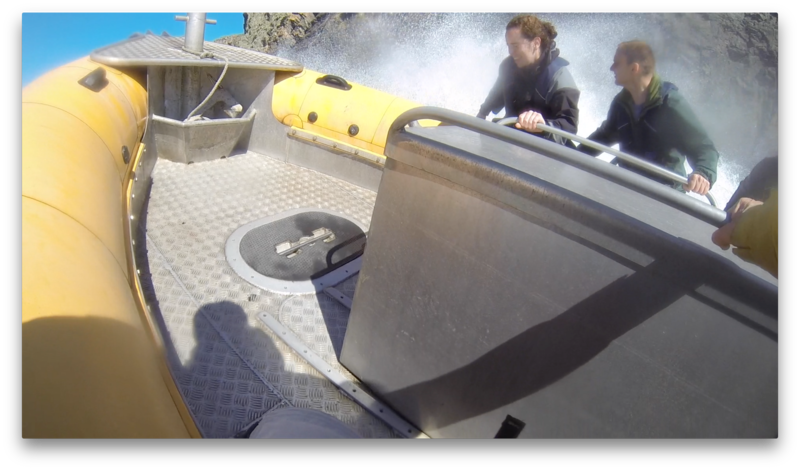 To complete the Bank Holiday weekend of activities we booked a 'Wet & Wild' Wildlife Adventure on a water-jet RIB. 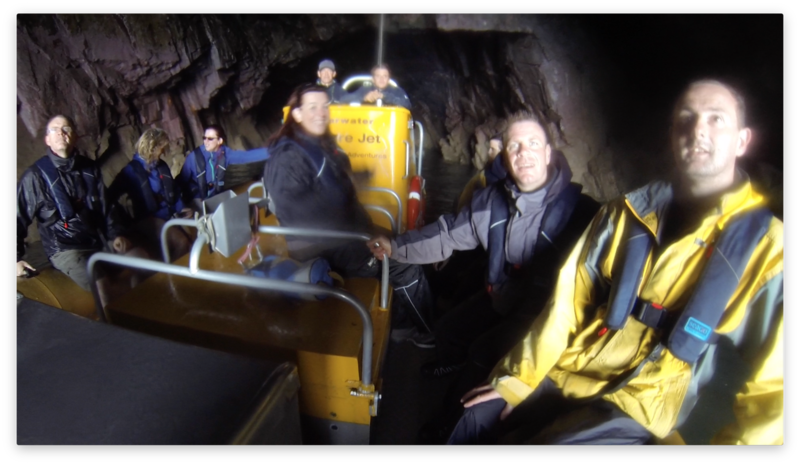 The trip took us around Ramsey Island (just off St. David's) and into a couple of sea caves. 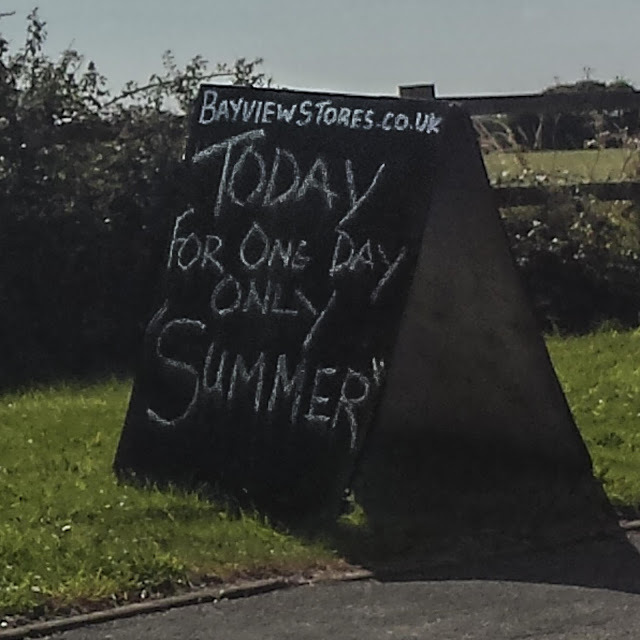 The highlight of the day for me was seeing one of the female members of the party being told off - not once but twice. 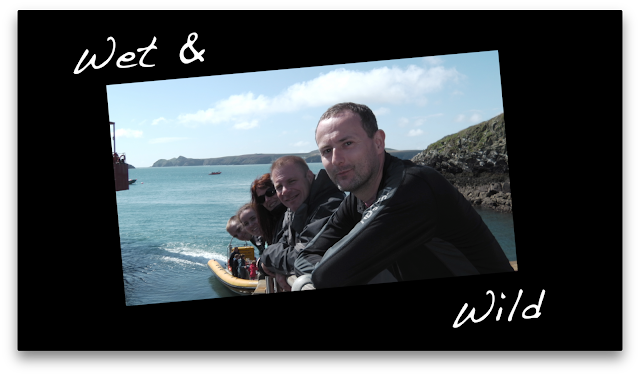 The Team: Mark Burgess, Jess Burkey, Mark Burkey, Chloe Burney, Keith Edwards & Brendan Marris.